Why do people climb mountains in Winter? Or go hill walking in Autumn? Those that do will tell you that it is for the challenge, the fresh air, the excitement. 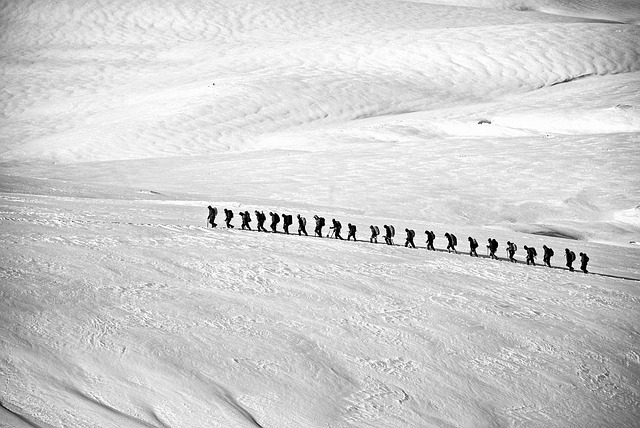 For the companionship if walking as a group, for the solitude if climbing alone. And, most of all, for the stunning views. On my (admittedly very limited) experience it is invariably wet – ranging from merely uncomfortably damp through to bone drenchingly soaking. Its cold, miserable and physically hard work. The most exciting part of the day is unpacking half your ruck sack to reach your limp, slightly stale, cheese roll that has been squashed flat. And the fog. They never mention the fog before you set off. “It’ll be great” they say. “The views from top are magnificent. You can see all the way to Narnia” they promise. But when you’ve slogged to the top of the hill or mountain all you can see is your hand in front of your face. Because you are shrouded in fog. Or perhaps your are in the clouds. I’m sure the geographers could distinguish between the two, but all it means is that you can’t see anything. And that you are enclosed in more dampness. So why do hordes take to the hills? Why do they do it? I have a theory. It’s not for the views, or the exercise or the excitement. No, it’s for the pint in the pub at the end of the day. Every trek into the mountains always finishes with a pint in the snug, warming yourself by a roaring fire whist resting your aching limbs. And all power to your elbow. That pint will taste so much better than had you just rolled off your sofa at the end of East-Enders and wandered around the corner to your local. The pint is exactly the same, but what has gone before, what you have endured, alters the experience. And half term is like that pint in the snug of the pub after scaling the heights of some windswept hill. It’s Saturday morning, but this Saturday morning is so much sweeter than a ‘normal’ Saturday morning as I’ve earned the right to the next week off. The first half of the Autumn term is always busy, and somewhat of a culture shock after those long, lazy days of the summer holidays. At times, it has felt like I’ve been slogging up a hill, shrouded in mist and unable to see beyond the next few hours. So whatever your plans for the break, enjoy the metaphorical pint that is the half term holiday – you deserve it.